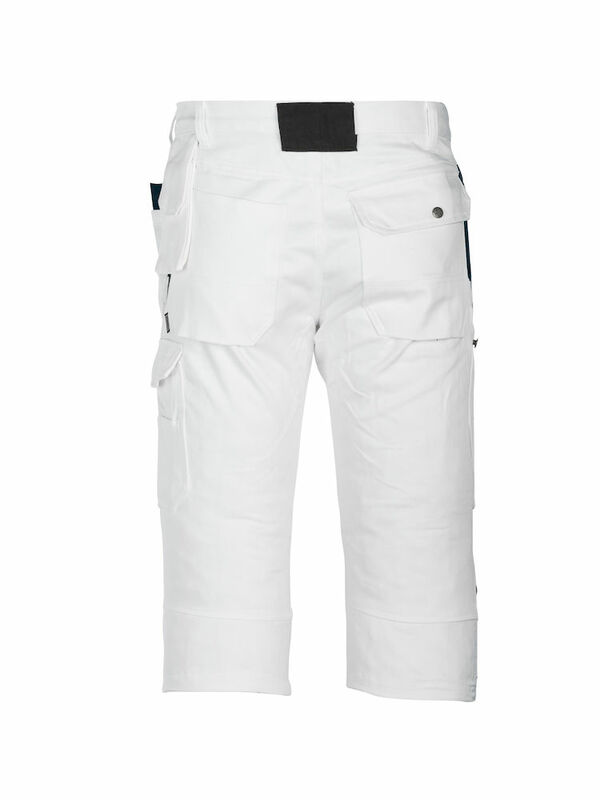 Long Work Shorts with all the convenience of JOBMAN workwear functionality. Phone pocket on hip. Roomy holster pockets with extra compartments and inside reinforcement. 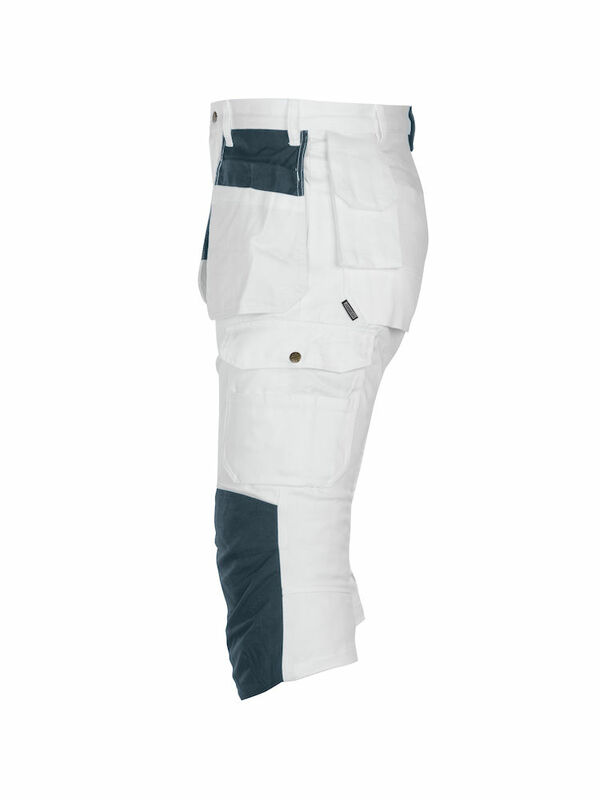 Slanted front pockets, "French pockets", to make it easier to tuck away the holster pockets. 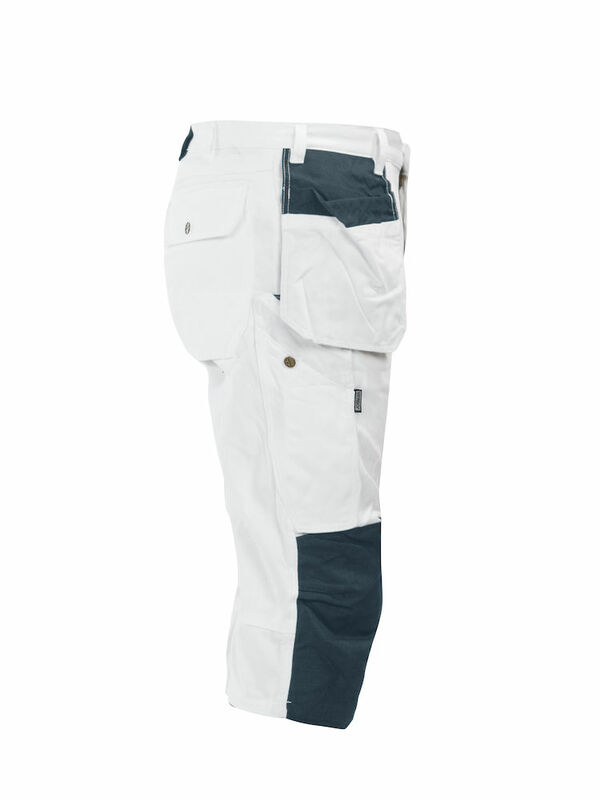 Reinforced back pockets. Reinforced filler pocket. Leg pocket with phone compartment and ID card pouch. Pre-bent knee with reinforced kneepad pocket. Do not tumble dry. 97% cotton/canvas, 3% spandex, 300g/m2, Stretch. Copyright JOBMAN USA. All Rights Reserved. eCommerce Software by 3dcart.